Reel Parables had an awesome 2015! We reached 48 different countries and continued to support our favorite missionary. Here are the top 10 posts that made that possible! Wreck-it Ralph and Disney’s Frozen easily take the top spots accounting for 6 of my top 10 posts. Also, I find it funny that only part 2 of a 3 part series made the top 10! Because Wreck-it Ralph and Disney’s Frozen are still so popular, I’ve redesigned our Menus and gathered all their content onto one easy-to-find and use page. Just go to Movies and then select the movie from the drop-down menu. Going forward I will add all movies that get more than a few posts here so that they are easier to find. I’ve also added a Categories feature to the sidebar with some of the more popular or interesting Categories. Again, the idea is to make it easier for you to find what it is you are looking for. In addition to writing more about music, I also want to post more regularly. This will look like smaller/shorter, but far more purposeful and actionable, posts. 2016 will also be the first year of the Reel Parables Movie Awards! Like the Golden Globes and the Oscars, we will look at the year’s best movies. Unlike those awards, we will look at them through the eyes of Reel Parables and Sharing God’s Story. I have wanted to do this for some time and am super excited! Possibly the thing I am most excited about…. 2016 will also see the launch of Reel Parables TV! I will use the audio to feed the podcast, for those that prefer to listen, but plan to move it to a more visual presentation. I plan to interview Christian leaders in the entertainment space, and pastors and teachers who are currently using movies in their preaching and teaching. Oh yea, I even got my favorite Christian musician and director (STEVE TAYLOR!) to record a brief into to it. I was a bit surprised to see Finding Nemo cracking the top 10. I guess I shouldn’t be with Finding Dory coming soon. To get us ready for Finding Dory, I am finishing up my Sharing God’s Story with Finding Nemo devotional. I will let you all know when it is available. Until then check out our Store for our other movie based devotionals. Along with Finding Nemo, I am also working on a few more Youth Group specific items and a Super Hero Summer series. I will keep you posted. Hey, would you please do me a favor? Would you share this with someone you think would enjoy it? 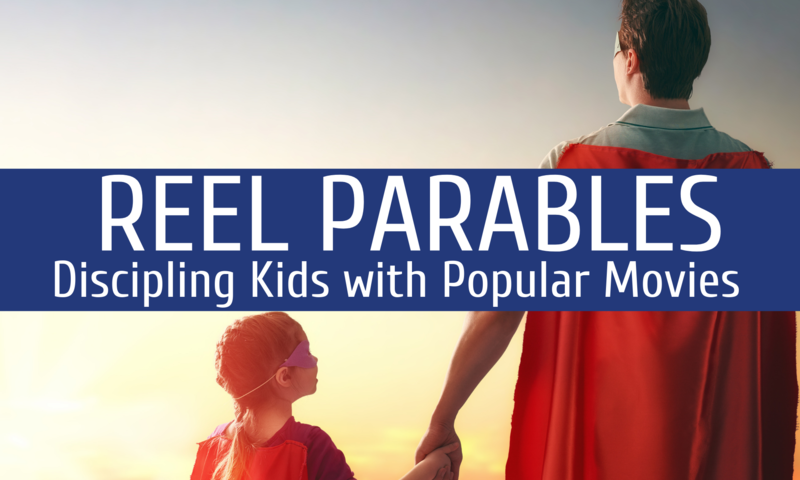 And If you haven’t already, will you please like us over at Facebook (click below) and sign up for the Reel Parables email list?